For all the Indian readers, here is something that will take away all your Monday blues. Sudeep Nagarkar, one of the popular Indian writer, has just announced his new novel which is all set to release in July 2017. Sudeep is known for his bestselling romance novels such as She Swiped Right into My Heart and All Rights Reserved for You. Now, Sudeep Nagarkar is coming up with his latest novel and announced the title of the book. If you don’t follow him on Facebook or Twitter, then you might have missed the announcement. But don’t worry, we have got you all the scoop here. 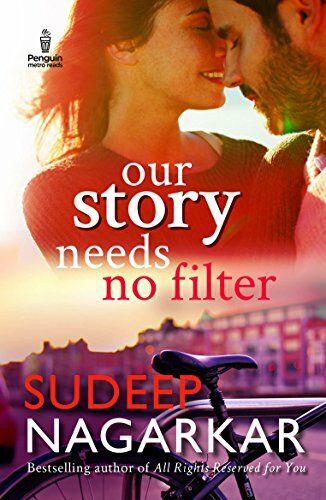 Our Story Needs No Filter is Sudeep’s latest novel and he is again telling a story will go straight through your hearts. Sudeep, an award-winning romance author, has written this book which brings out the dark shades of relationships on the backdrop of student politics. 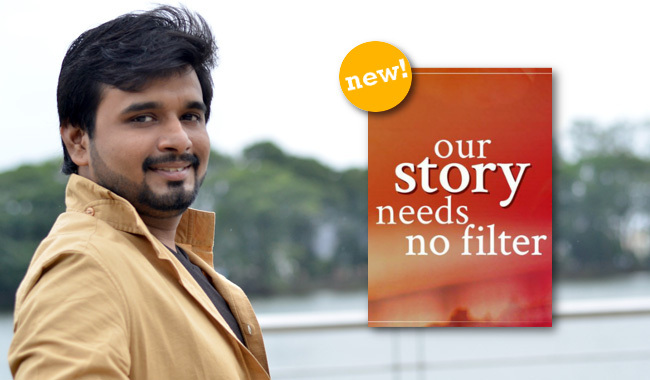 Check out the complete excerpt and details about Our Story Needs No Filter by Sudeep Nagarkar. Earlier this month, On the evening of 12 June, through a Facebook post, Sudeep shared the title of his latest novel with readers whom he calls ‘family’. Check out the Facebook post he shared on his official page announcing the title of his new book – Our Story Needs No Filter. Aren’t you excited? Here is what Sudeep Nagarkar shared about his new book. Title of our new book: Our Story Needs No Filter! July release and pre orders from 15th June! ? Waiting for my lovely readers’ family to share the post and spread the word. This July, there will be no filter over the pseudo happenings around us! ? Now the official book cover has been released, the pre-orders for the Our Story Needs No Filter by Sudeep Nagarkar have started from 15 June 2017. The official release date of Our Story Needs No Filter is 26 Jul 2017. Sudeep Nagarkar is popular among young readers and has a good fan following. He started his writing career in 2011 with debut novel Few Things Left Unsaid which got a good response and then Sudeep never looked back. Sudeep has already written eight novels and Our Story Needs No Filter is the 9th novel written by him. All the novels of Sudeep Nagarkar have a warm and lovely story that embraces readers in a whole new way. 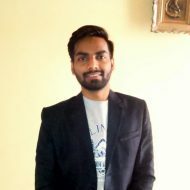 Sudeep Nagarkar is the winner of 2013 Youth Achievers’ Award for the highest selling books in the category of Romance in India. Excited about Sudeep’s New book? Share the excitement by sharing this post with your friends. Happy Reading.